South Hook LNG Facility under construction on 13/07/2008. On the site of the Esso Refinery , construction of which started in 1957 with the refinery opened in 1960 by the Duke of Edinburgh . The refinery closed down and was dismantled by 1983. 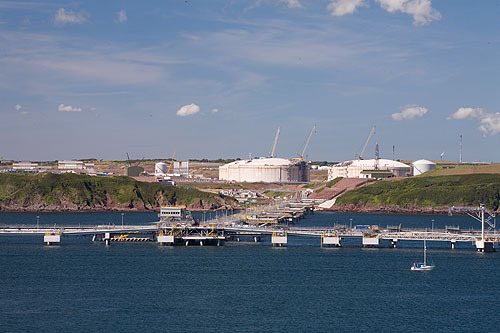 Today, the site has been converted by Exxonmobil into the South Hook LNG terminal.